April-July 2018: Multiple fake and highly suspicious positive reviews submitted for CIBFX. 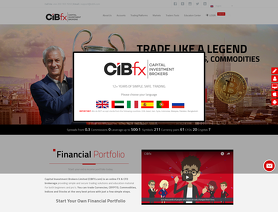 CIBFX is a forex broker. CIB FX offers the MT4 and Mobile forex trading top platform. 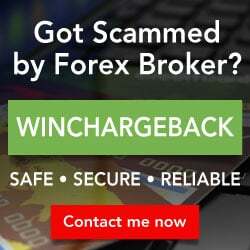 CIBFX.com offers over 40 forex currency pairs, energies, cfds, gold and silver for your personal investment and trading options. A premium boutique Forex broker with more than a decade of operational history behind them, CIBFX is owned and managed by Capital Investment Brokers Limited. The holding company is based on the island of Vanuatu and is regulated by the Vanuatu financial services commission under the VFSC license #14637. As a regulated broker under the Vanuatu financial services commission, CIBFX’s clients’ funds are protected by legal oversight ensuring that you can trade with peace of mind with them. Dedicated to providing trading solutions to cater to all categories of traders, CIBFX’s clients can be assured that all their trading needs will be met by this broker. CAPITAL INVESTMENT BROKERS LIMITED is dedicated to exceeding excellence, providing our international clients with a regulated transparent bespoke brokerage service, some of the most competitive spreads in the industry, and first-class professional support around the clock. At CIB we believe in real broker integrity. We do not believe in misleading our clients with talk of market investments beyond their means or comfort zones. Whats more, we will never cold-call you or pressure you into depositing funds. It is important for us that you trade at your own pace and within your available means. We may be in touch to see how you are getting on and if you need a helping hand only. This is our promise to our clients. Sep 26, 2018 - 1 Star They never give you the profits, they do not let you withdraw. Of course, when you start and you have to invest, they call you every day and treat you like a king, but if you want to withdraw they treat you like an imbecile. In my opinion they are a scam, why? They call you and message you constantly, but once you invest capital they stop caring about you, they only care about the money. Plus the “advisors” lost all my money. Also scammed me with the bonuses: they pretty much mentioned everyday that I should get one of this bonuses, but without saying that i would have to wait a lot of time to withdraw if I would take one. Now I have to wait months to get my money back and guess what? Yes, my advisor made a "bad move" and lost all my money, just like the other comments. Now my advisor say I should have read the terms of the bonuses before requesting one and that the markets where unstable...... But I remember he would say "YOU CAN WITHDRAW WHENEVER YOU WANT! ITS EASY!!!! " they asked me if wanting comany to teach me traidng but i say no and trade direct obviosuly no bonuss rubbish. I withdraw profits no problem actually so generally im happy. Such a great experience with CIBFX. Initially, I tested their micro account. Now I am going to use their standard account, hope everything will be fair as like micro.